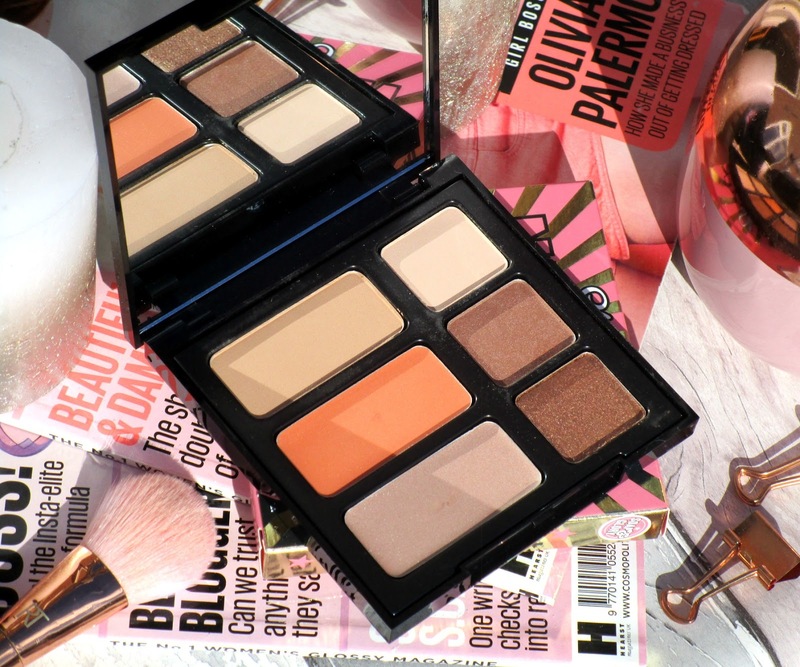 HaySparkle: Soap & Glory She's A Natural Day And Night Palette Reviewed! Soap & Glory She's A Natural Day And Night Palette Reviewed! 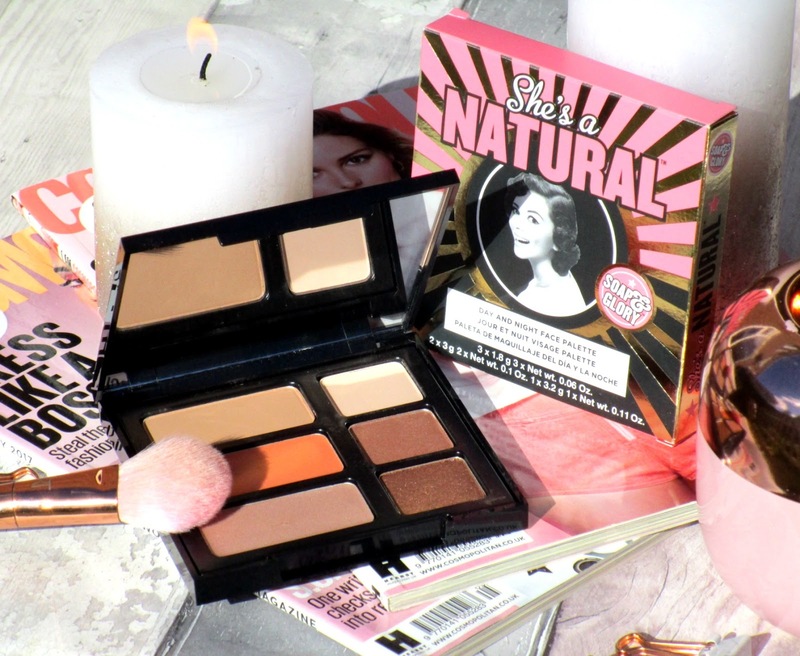 Soap & Glory are on fire with their new launches at the moment, their new bath bombs have definitely proved a huge hit with me (read about them HERE) and their new She's A Natural Day And Night Palette is definitely my favourite new makeup launch this month, I've been totally obsessed! Soap & Glory's She's A Natural Day And Night Palette* contains everything us natural makeup loving gals need to take us from day to night. The palette itself is a really decent size with a nice large mirror inside the flip up lid which is always appreciated. Included are a light-deflecting sun kissed bronzer called Bronze Moment, a creamy-blendable blusher called Coral Dilemma, a cream highlighter in Glowing Places and three silky, buidlable and well pigmented eyeshadows in Cafe Away, Culture Choc and Choccy! The quality of every shade within this palette is lovely, the pigment, the blendability, the lasting power - everything is just gorgeous! The bronzer is right up my street because it isn't too dark or too orange-y and it isn't crammed full of glitter either, it reminds me of a slightly lighter version of Benefit's Hoola, their extremely similar! The Blusher and the Highlighter are both cream formulations and blend into the skin like a dream with the option to build up until your hearts content. The three eyeshadows within the palette are perfect everyday shades for me and their so autumnal and warm, Cafe Away is a lovely neutral matte and Culture Choc and Choccy are both different shades of metallic bronze/copper, I love them! Overall I absolutely love the little palette, it's one of those palettes that you can quickly whack on and then run out the door without thinking, and if you travel often this is going to be a game changer for you! 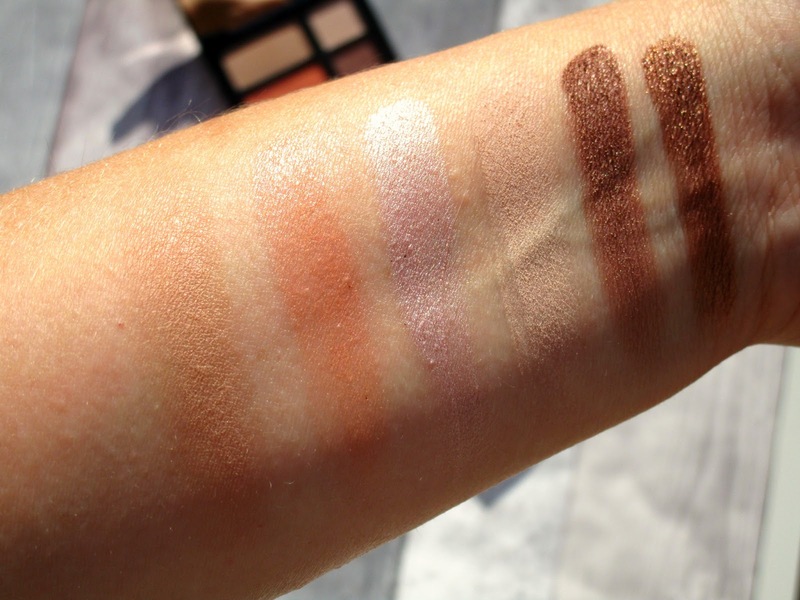 I was so impressed by the quality of all the shades too, they all apply and blend out within seconds and all of the shades suit my skin tone and eye colouring perfectly which is quite rare when buying an all in one palette, for £14.00 this is such a beauty bargain! 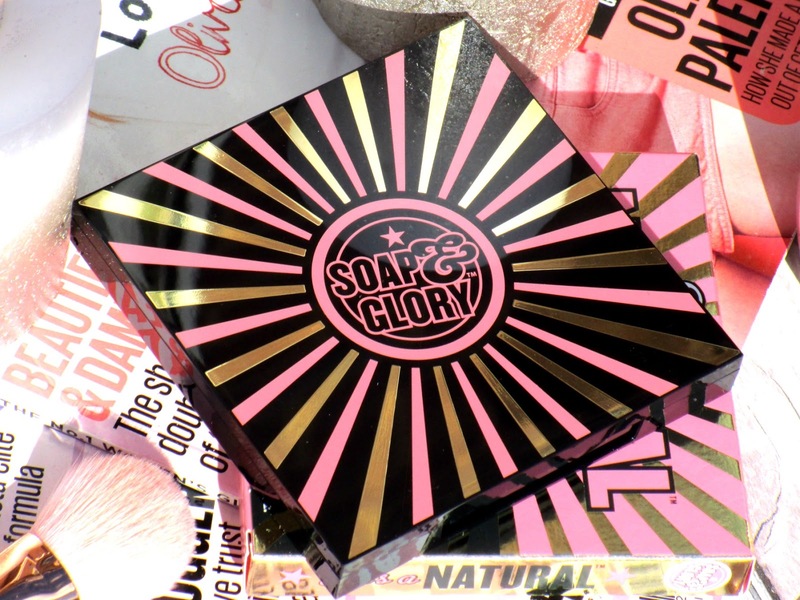 You can find the Soap & Glory She's A Natural Day And Night Palette for £14.00 HERE, it's also currently included in their buy one get one half price deal too! This looks gorgeous and perfect for autumn! Loving the look of the orange shade and the packaging is stunning!